The weather is heating up, and 4th of July will be here before you know it! 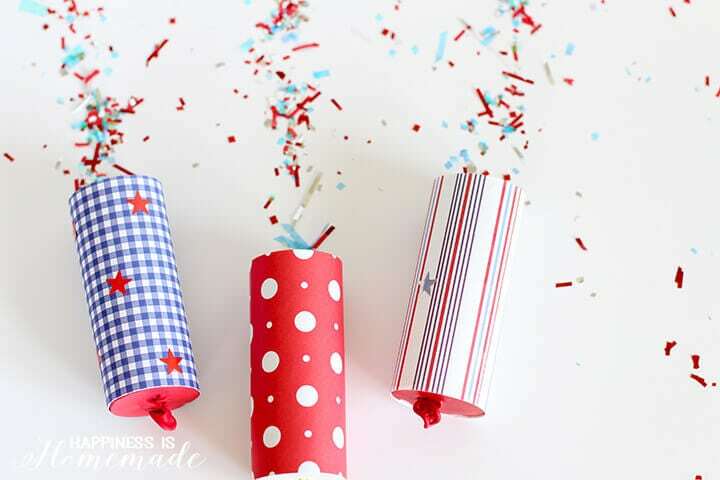 These easy DIY confetti poppers make a fun and safe alternative to sparklers – perfect for no-burn areas and younger kiddos! We made our confetti poppers for 4th of July, but they’re also great for New Year’s Eve, weddings, birthday parties, and more! 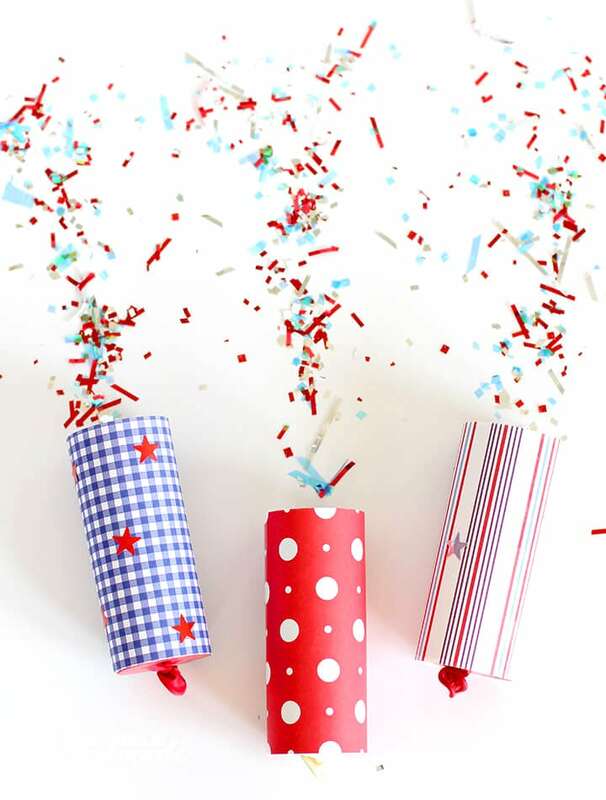 DIY confetti poppers are an easy way to jazz up your next celebration! 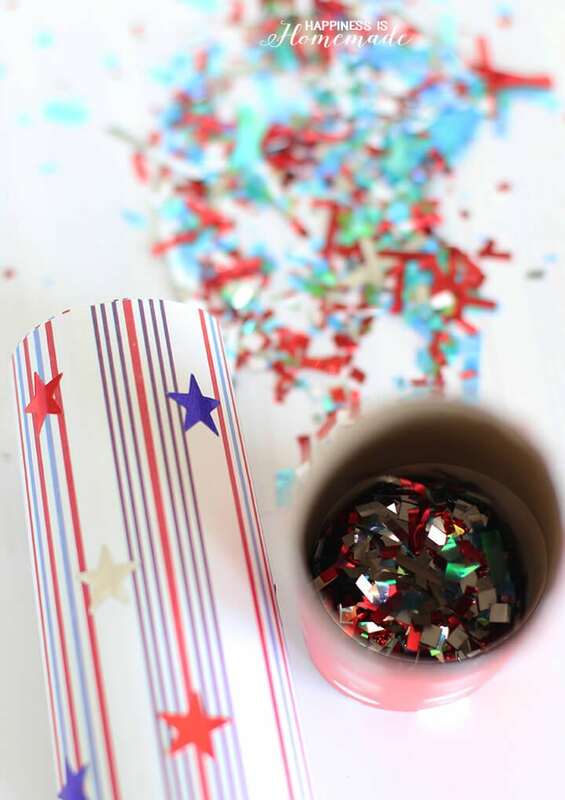 Use patterned paper, stickers, markers, glitter, etc. to decorate the tubes. 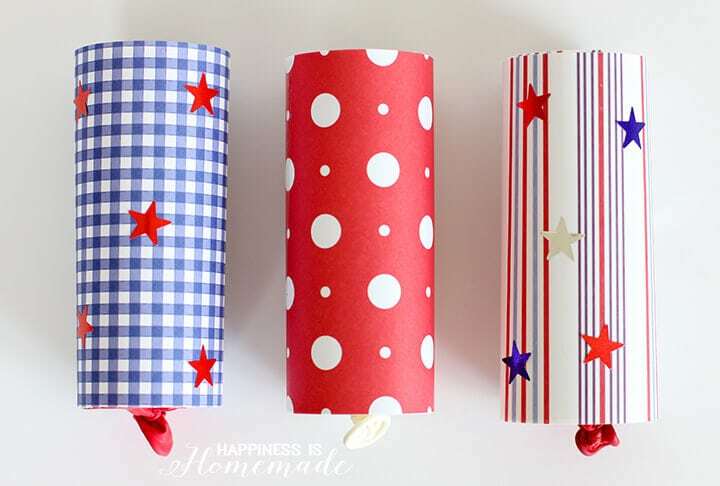 For these tubes, we simply wrapped them with 4th of July scrapbook paper, secured the paper with tape, and added a few star sticker embellishments. 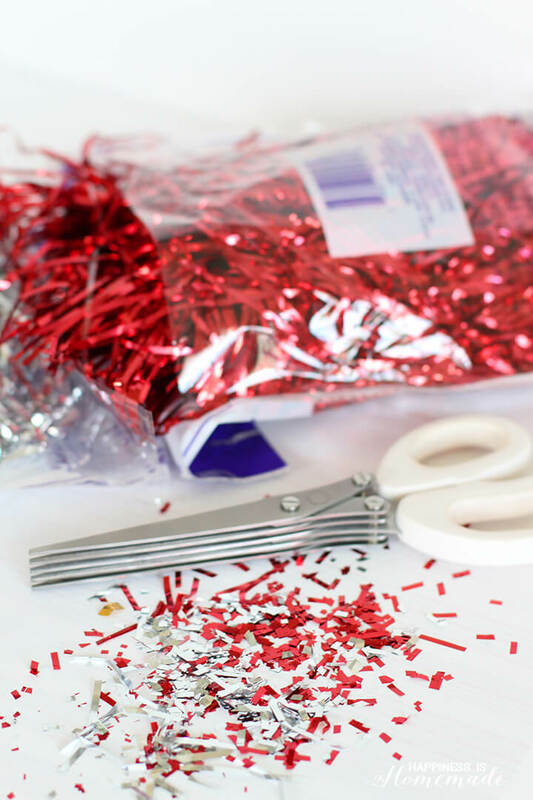 If you prefer to make your own confetti, fringe scissors can quickly turn a bag of gift bag filler into shiny metallic confetti. 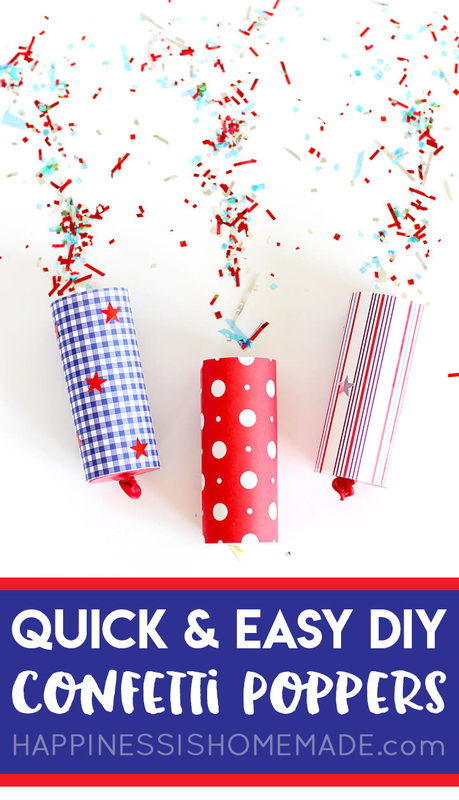 You’ll want to make at least 3 tablespoons of confetti for each tube. 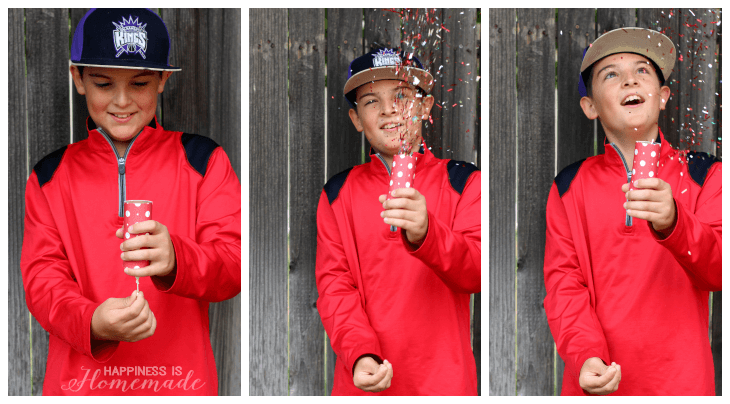 How do you celebrate 4th of July? 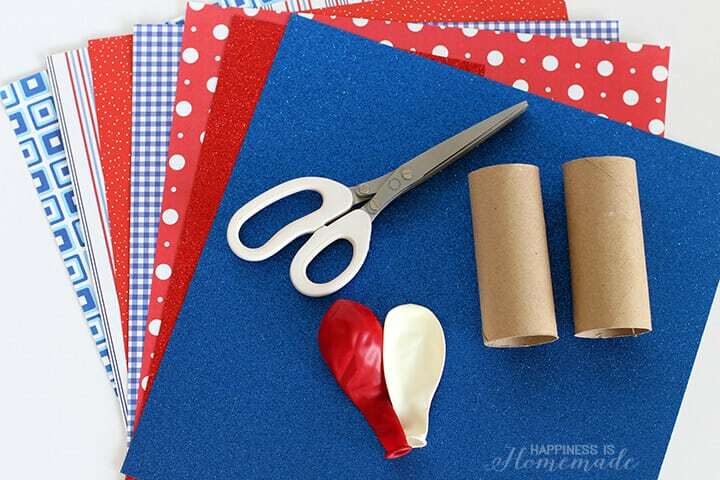 If you have a favorite 4th of July kid’s craft, please share a link in the comments! We love to check out all of your favorites! 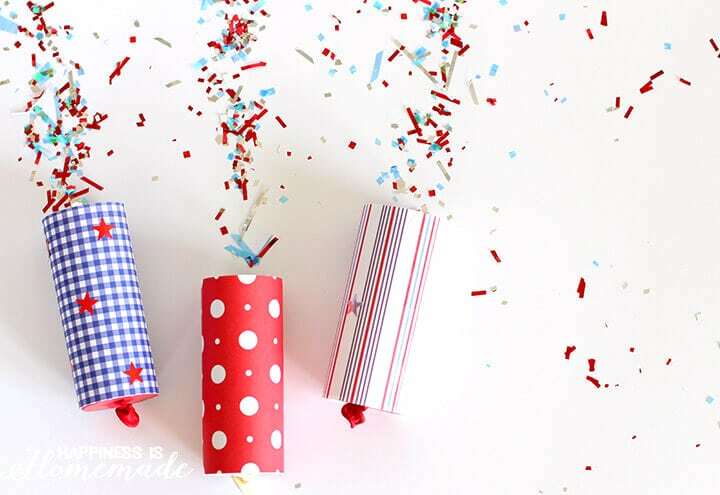 Pin These DIY Confetti Poppers for Later! What do you put on the top to hold the confetti in until ready to shoot? I tried looking for the confetti but all I could find was confetti shapes when I want the confetti shown here. Can you please tell me where you purchased the confetti? I tried it and it works so well that I did it about 25 times!!!!!!! Hi! This is a nice idea but how do uou keep the confetti from spilling and use it when you need it? 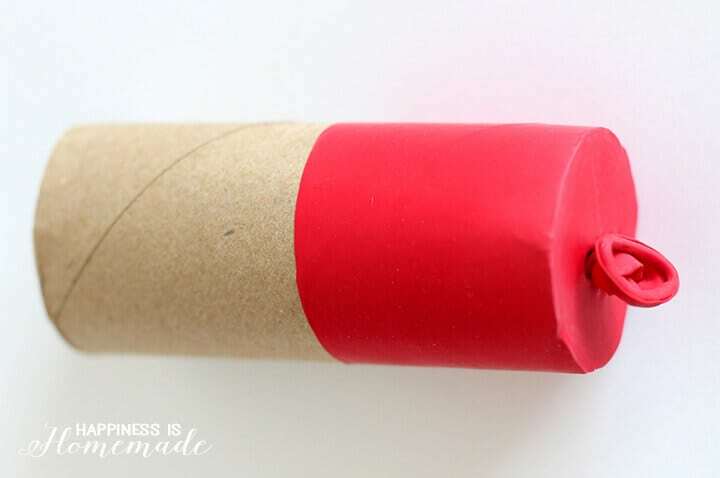 If you’re not going to use them right away and want to keep the confetti from spilling, I suggest covering the end with a thin sheet of tissue paper (cut a square of tissue and use a gluestick to attach it to the end of the tube). 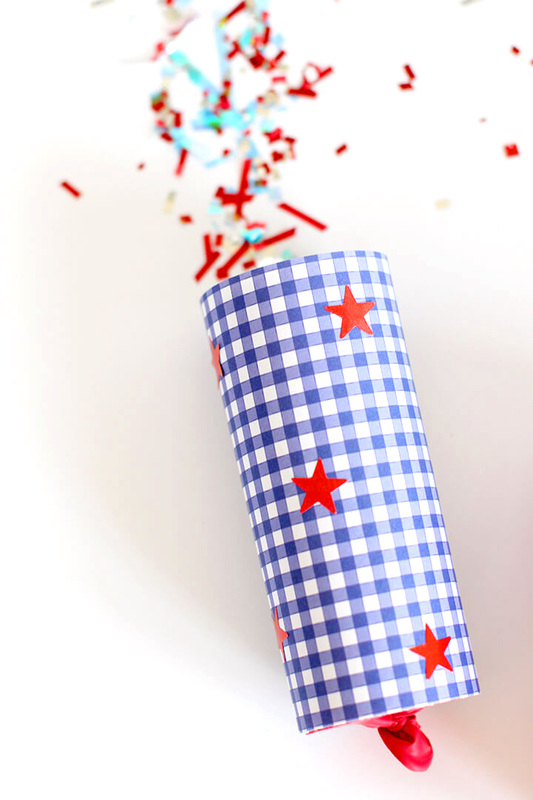 When it’s time to use the poppers, simply break through the tissue layer and launch!